Research Journal of Pharmaceutical, Biological and Chemical Sciences (RJPBCS) is an scopus indexed journals in biological chemistry, an international online journal in English published Bimonthly. The aim of RJPBCS is to publish peer reviewed research and review articles in rapidly developing field of Pharmaceutical, Biological and Chemical sciences. The journal aims to cover the latest outstanding developments in the field of Pharmaceutical, Biological and Chemical Sciences. 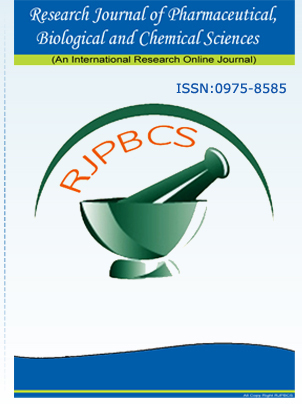 "RJPBCS takes responsibility of in time publication of the Manuscript abide by the journal policy". RJPBCS hopes that Researchers, Research scholars, Academician, Industrialists, Consultancy etc. would make use of this journal publication for the development of science and technology. www.scitcentral.com is a resource of indexed journals, our main mission is to help researchers, publishers and present indexed scientific journals known by their best quality.